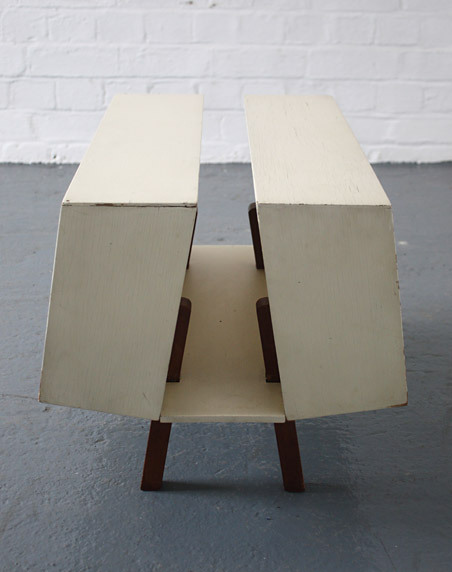 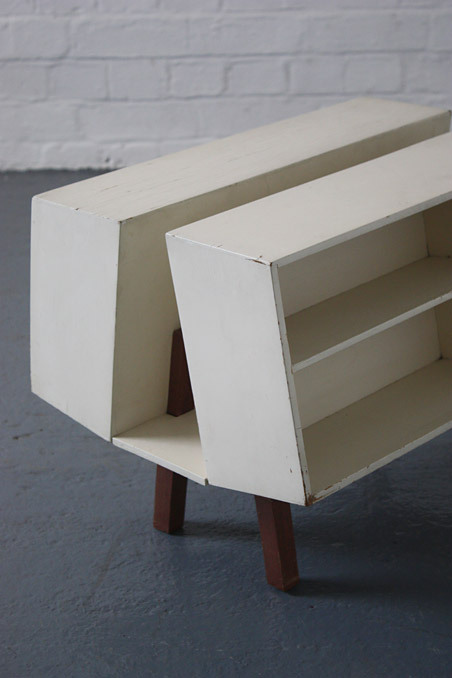 A vintage Mark 2 Penguin Donkey designed by Ernest Race for Isokon, UK in 1963. 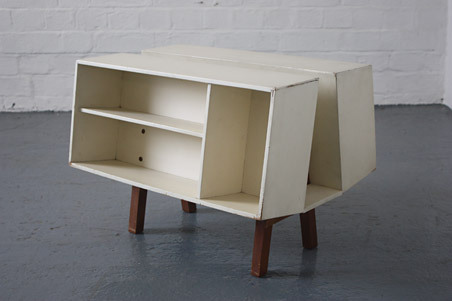 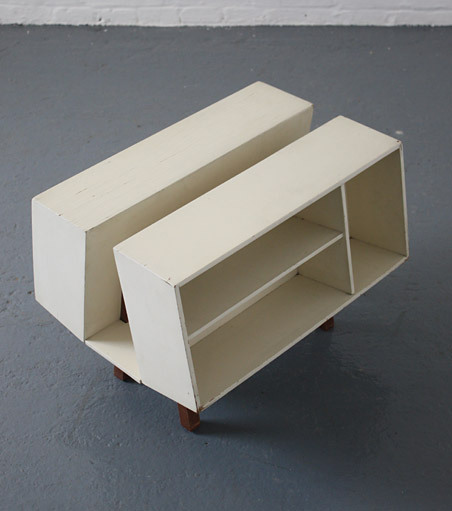 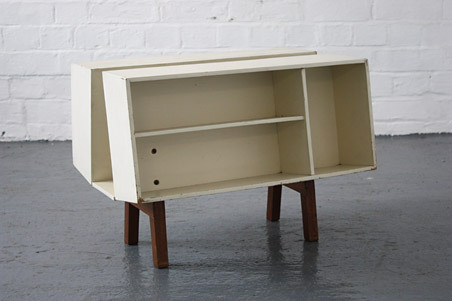 White painted carcass and teak legs. 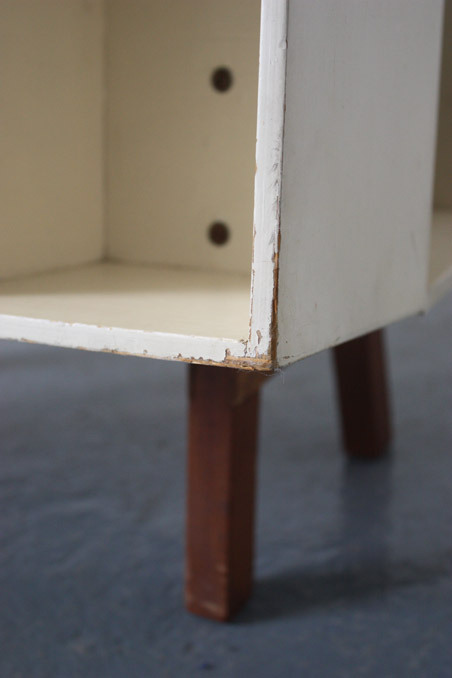 In vintage condition with edge wear and some age-related crackling to the paint. 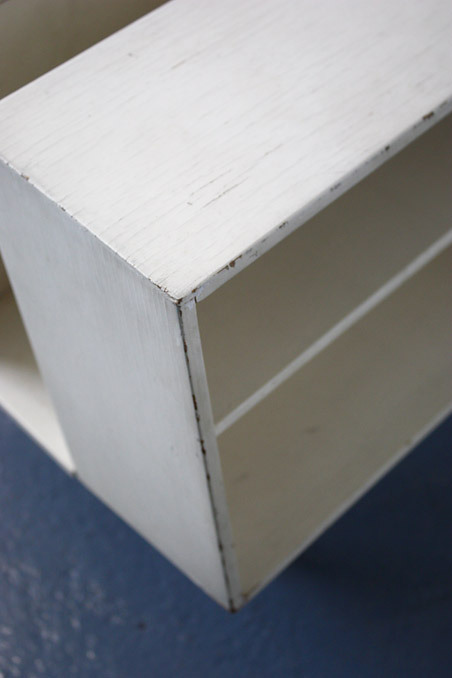 Dimensions: 40cm high x 53cm wide and 40cm deep.